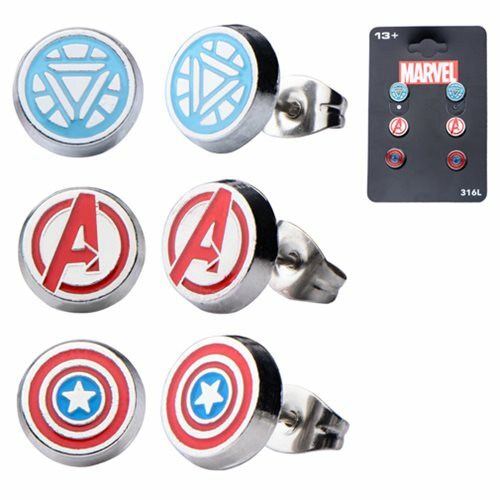 Show your support for Marvel's greatest superhero team with the Avengers Stainless Steel Round Ear Stud Earrings 3-Pack! The 3-pack includes stud earrings of the Avengers "A" logo, Captain America's shield and Iron Man's arc reactor. The beauties are made of stainless steel and will look great for a night on the town. Ages 13 and up.